Leaves are changing, sweaters are making their way out of storage bins, the pumpkin spice latte at Starbucks is back and everywhere you look every girl seems to be wearing the same brown leather boots. This could all only mean one thing: fall is here. Need something to do to spice it up? Everyone remembers being a kid and going to the apple orchard. Just because you’re a sophisticated college student now doesn’t mean you can’t still enjoy a little apple picking. Google apple orchards near you and instead of sipping apple cider with your freshly picked produce, enjoy some wine (after all we are grown-ups now). This usually goes hand-in-hand with pumpkin picking (see below). 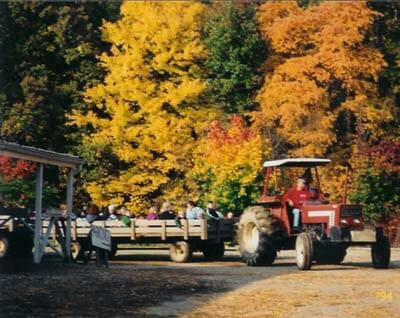 Grab some apple cider, donuts and climb aboard the tractor. Bring a blanket if it gets cold and snuggle up to someone special. Get a group together and schedule a nighttime ride with a bonfire (bring s'mores). Can anyone say pumpkin spice latte? There’s also a new salted caramel mocha. Both are perfect for the cooler weather. "It’s so cozy to drink in the cold weather,” said Binghamton University sophomore Jessica Hoffman. Syracuse University sophomore Laura Cohen added: “I'm always really excited when Starbucks starts selling their fall flavors. We all know that fall is football season. 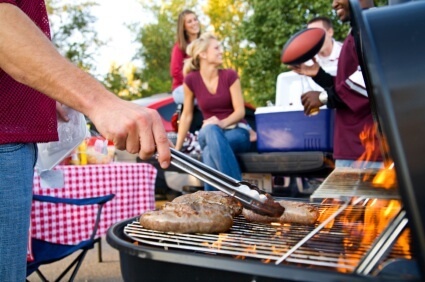 So grab some friends, a grill and a whole-lotta Natty Lites and tailgate your hearts out before the game. If you aren’t a fan of the cold, watch the game at your favorite sports bar. Just be sure to cheer your team to victory. By far the most fun fall activity that college students miss out on. 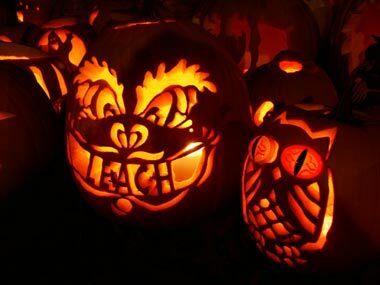 Who doesn’t like reaching their hands into an ooey-gooey pumpkin and then carving it into something scary? Be sure to pick out a big round one. Those make for the most fun!